Paris International Art Gallery has opened its doors to well-known Azerbaijani artist Nigar Narimanbayova this March as it held an exhibit in her honor. The artist told Trend how very privileged she felt at having her works displayed in such a prominent venue. Representatives of the Azerbaijani embassy in France, Azerbaijan Diaspora, the French artistic elite, artists, art critics as well as George Levy, publisher of the prestigious "La Gazette Des Arts” magazine, popular journalist Chantal Guyon, and Eter Pagava, an outstanding French ballet dancer attended the art event. Art lovers from Luxemburg and Spain also could attend the exhibit. 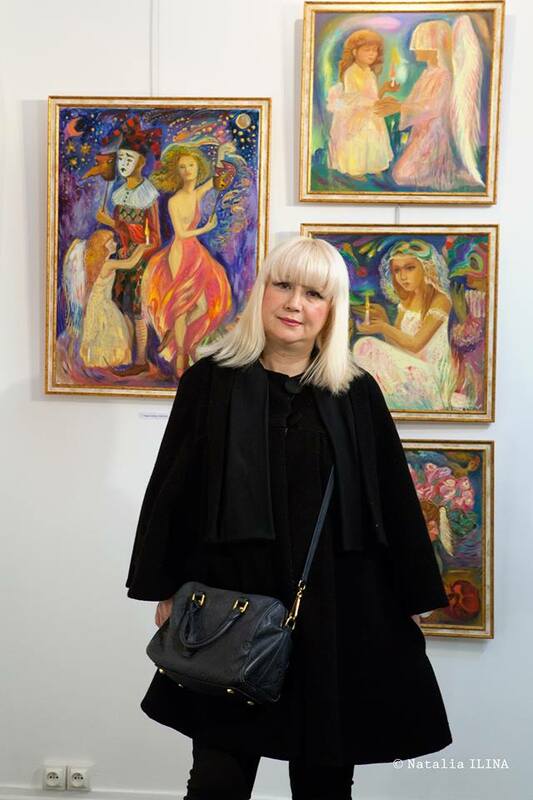 Stella Kalinina, President of the Association "Stella Art International”, a well-known expert and connoisseur of fine arts in Europe and the world expressed her admiration. “This is a real magical holiday of Azerbaijani painting in the heart of Paris,” she said. Narimanbayova told reporters that two of her painting series, including “All life is a Theater”, and “Dreams of Childhood” were put on display. “Some 20 works were exposed at the exhibition. I was very pleased to hear that everyone talked about the unusual magic and fabulousness of my paintings. They said my work touched them and prompting a torrent of emotions,” the artist emphasized. Visitors left enthusiastic reviews in the "Golden Book", keen to express their admiration of the artist. The artist's beautiful works such as 'Harlequin and Ballerina', 'The Illusion of Fight', 'Soul', ‘Adagio’, and ‘Broken Wings’ mesmerized guests with their unique execution. The prestigious "La Gazette Des Arts" magazine devoted an article to Narimanbayova and her creativity. The exhibition will run until March 16. Narimanbayova, who lives and works in Paris and Baku, graduated from Azerbaijan State Art School after Azim Azimzade and All-Union State Institute of Cinematography after Gerasimov in Moscow. She has participated in a number of national and international art exhibitions in France, Germany, Austria, and Azerbaijan. Narimanbayova is a member of the Union of Artists of Azerbaijan and the International Association of Art. Her paintings have been put on display at the exhibition halls of the Azerbaijani Ministry of Culture and Tourism, National Museum of Art of Azerbaijan, as well as in private collections.